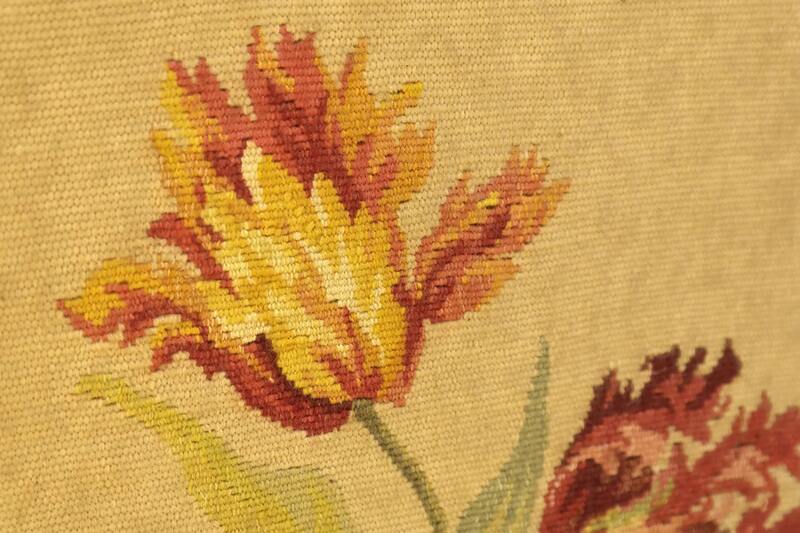 A beautiful French antique needlepoint tapestry wall hanging of three elegant tulips. The antique tapestry has been completely hand worked and the Aubusson name is synonymous with quality and fine workmanship. 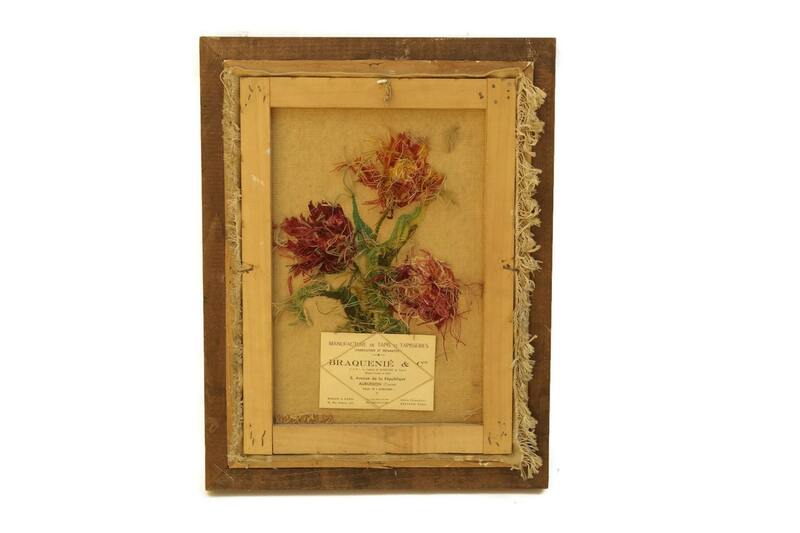 The piece has been stretched and set within a wooden frame. 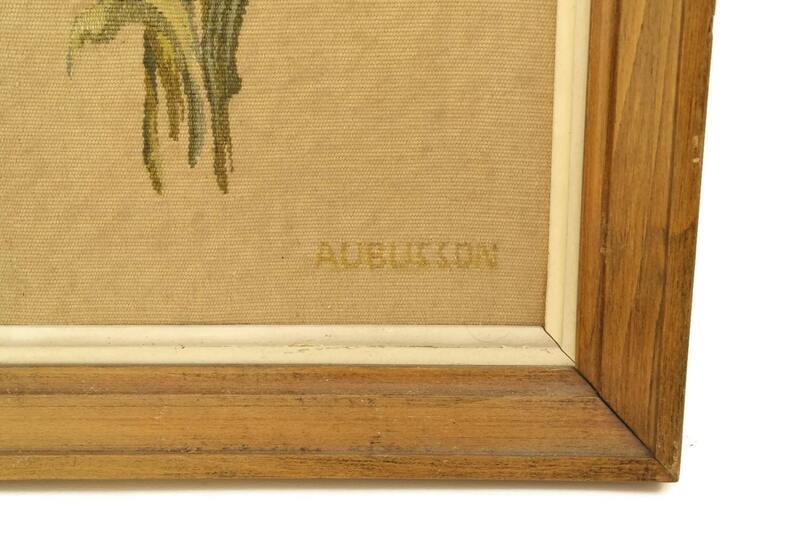 The reverse side features a printed card from the Aubusson manufacturer's. It will make a great addition to your romantic boudoir decor. 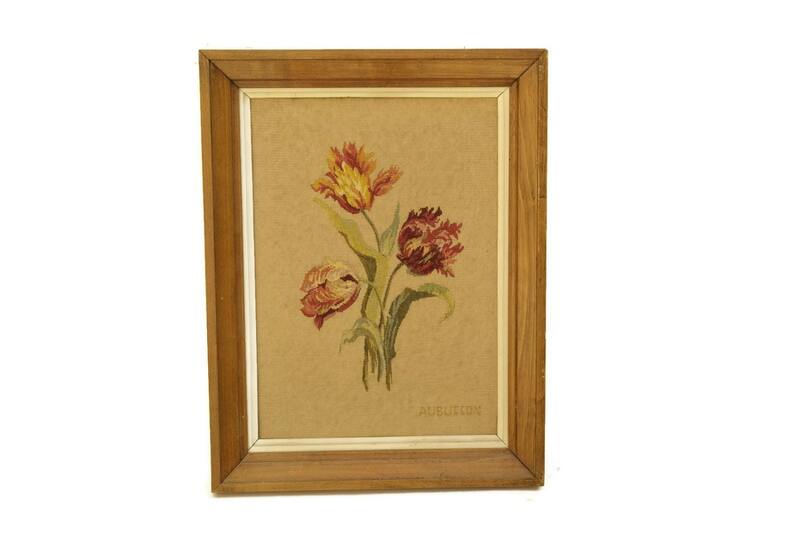 Including the frame 14" Wide x 19" Tall (36 cm x 48 cm). 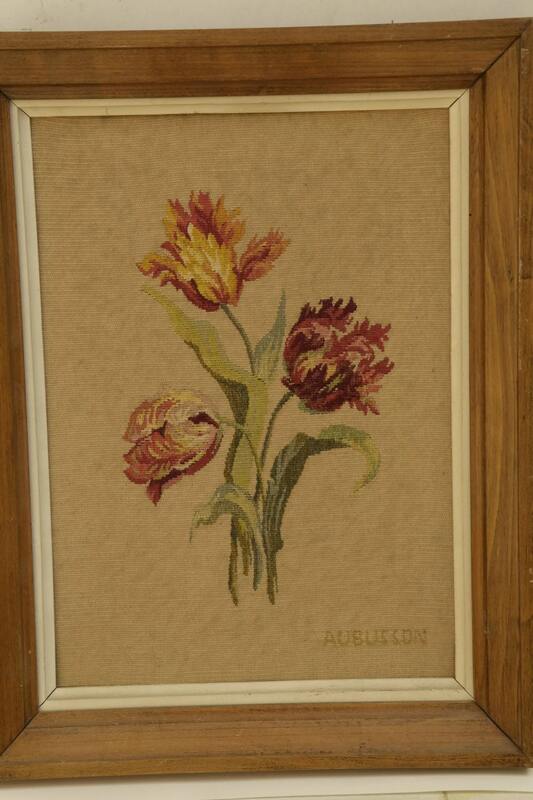 The framed French tapestry is in very good condition with light wear to the frame.